Thanks to Jack Daniel's, our guests at The Ultimate Guys Night Out will get to experience an immersive 360-degree virtual reality experience. The technology takes individuals through sensory rich locations in the distillery - from the rick yard, where sugar maple ricks are burnt down for use in the whiskey's charcoal mellowing process, to the summit of the barrel house. Be sure to buy your tickets to the October 22 event! There are a limited number of tickets available. In addition to fine wine and spirits, premium fare, casino gaming, live and silent auctions and a cigar lounge, we will be honoring our 2018 Ultimate Men of the Year: Gary Press, Chairman of Lifestyle Media Group, and Representative Richard Corcoran, Speaker of the Florida House of Representatives. For ad and sponsor information, contact Kellie Hensley at (954) 979-7124 or Kellie@JASouthFlorida.org. The 1970's and Junior Achievement of South Florida are calling out all bowlers! We want you to join us in September for the annual JA Bowl-A-Thon. Dust off those bell bottoms, flowered shirts and leisure suits. Bring a fun Afro wig, and dance your way down the lane at Strikes in Boca or Sparez in Davie like John Travolta in "Saturday Night Fever". It'll be like stepping into Studio 54! There will be a DJ and prizes, including one for best dressed team. All proceeds from the JA Bowl-A-Thon benefit Junior Achievement of South Florida. Sponsorships are available! For more information, contact Kacee Reid at (954) 979-7108 or email Kacee@JASouthFlorida.org. We Are Seeking Extra Volunteer Help this October! Did you know it takes a minimum of 70 volunteers each day to help run our JA BizTown and JA Finance Park programs? October is going to be an exciting month for Junior Achievement of South Florida. We have 38 Elementary Schools scheduled to visit our JA BizTowns and one middle school each day visiting JA Finance Park. We need your help! If you are a working or retired business professional, corporate team seeking ways to give back in the community, college student in need of volunteer hours or parent - consider spending a day at JA! You will find that spending time mentoring our students will be a rewarding experience you will remember for a long time. And you can make a difference in their futures! For more information, email Alexa Diaz, Crissy Torres or call (954) 979-7114. A big thanks to the Cruise Industry Charitable Foundation for supporting the 2018-19 JA Career Bound program. Through this support, one program day will be centered on the cruise industry, and at least one graduate will be given the opportunity to work in the cruise industry as a paid 4-week intern in 2019! The donation also provides one full-ride scholarship for the program! The Cruise Industry Charitable Foundation (CICF) focuses its efforts on programs that are designed to improve the quality of life in the communities served by the cruise industry. CICF supports programs that enhance educational opportunities for youth, including those designed to improve literacy, teach basic life skills, and promote good citizenship. The Foundation also supports academic enrichment opportunities aimed at enhancing student proficiency in reading, math and science. A unique venue for your next celebration or corporate event. Looking to have a memorable event at JA World? 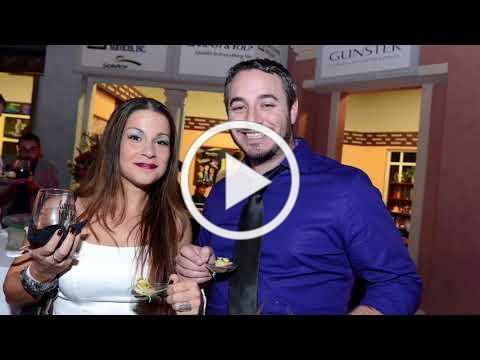 Check out highlights from our 2018 JA World Uncorked. In 2009, Junior Achievement of South Florida opened JA World Huizenga Center at the Lillian S. Wells Pavilion. Located on the Broward College North Campus in Coconut Creek, JA World offers over 60,000 square feet of rentable meeting and event areas and the Huizenga Catering Kitchen. It is the largest JA facility in the world! It's also a unique place to host your next event with a backdrop that creates a lasting memory for you and your guests. If you are interested in renting the space, contact Kellie Hensley at (954) 979-7124 or Kellie@JASouthFlorida.org.